It’s always reassuring to receive such glowing feedback from pretty much every event I’m hired for, I must be doing something right as a professional wedding magician! Sadly the weather wasn’t so great when I arrived at the lovely Fishlake Mill wedding venue, but luckily they’d managed to get all their photographs taken and outdoor activities complete before their wedding breakfast and before I was due to start. I had the pleasure of meeting the super friendly and highly skilled wedding photographer Laura of Hip to Heart Photography, who followed me around the tables during my performance and snapped some great shots. 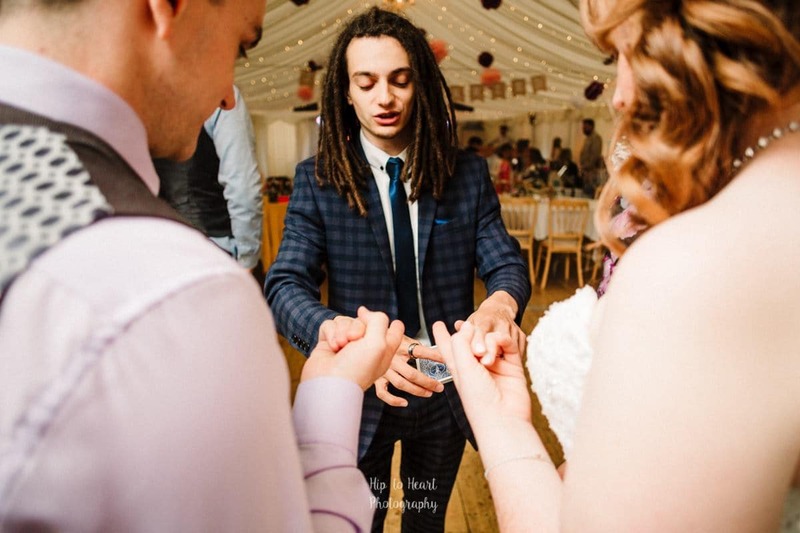 I’m sure there’ll be some more official wedding photographs to come, but here’s a glimpse at 3 photos of my wedding magic in action from the Facebook wedding preview album. 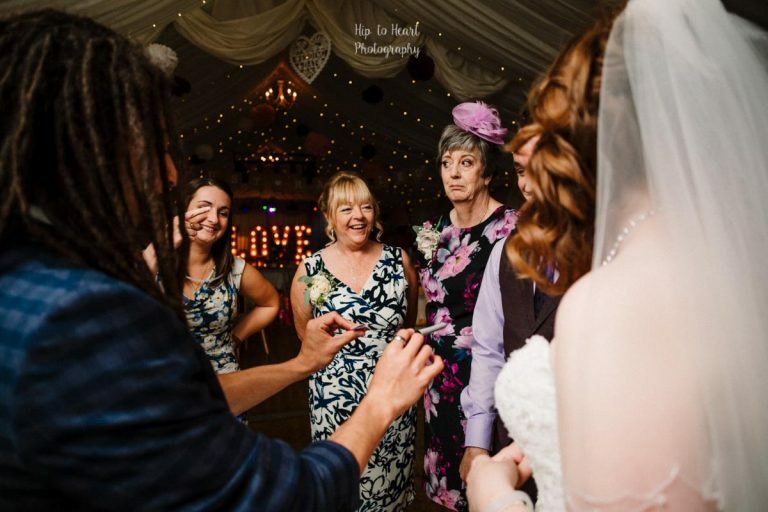 I absolutely love the style and feel of Laura’s wedding photography and she was so lovely to work with – if you’re looking for a Yorkshire wedding photographer – definitely check out Hip to Heart Photography! 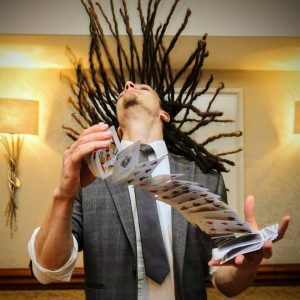 If you want to engage, baffle and entertain your wedding guests during that lull after the wedding breakfast and the evening reception – please get in touch – I’d be happy to discuss how I can help! 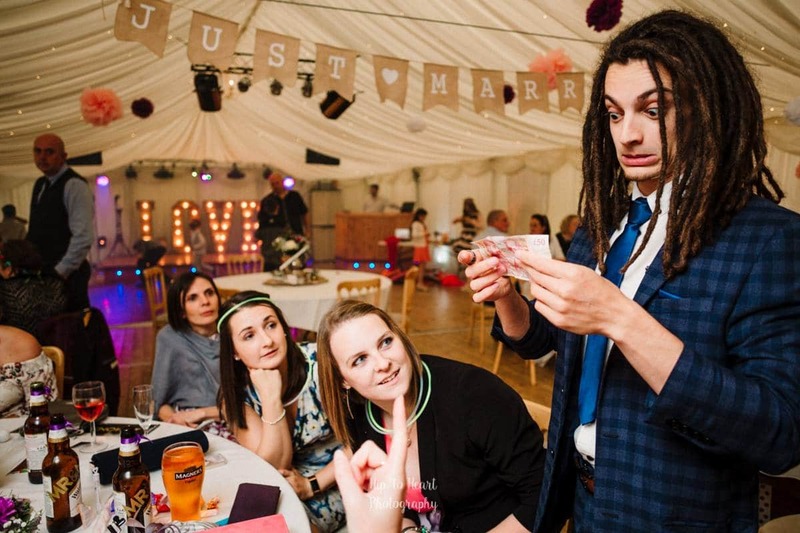 And if you’re based in Yorkshire – feel free to get a ticket to The UK Wedding Event at York Racecourse on Sunday 22nd October to see me in action before booking – like Claire and Paul did!